The Palmskin grip is designed for riders who like a softer, supple feel and may prefer not to use gloves. The ribbed pattern is compliant under the hand while managing moisture by channeling it away into the groove. The Palmskin is made with special formulated rubber compound that combines a soft 25a durometer and a proprietary additive for a combination of tackiness and durability. Overall length 142mm. 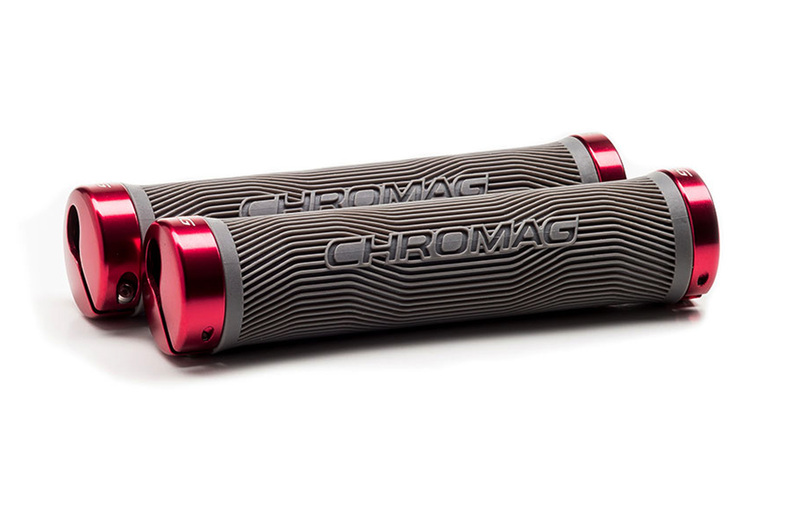 Chromag grips feature our unique ‘Split-Teardrop’ end clamp which effectively covers the bar end while still utilizing a true pinch-clamp for the best purchase to the bar. Overall length 142mm. C'est pas un peut ch&egrave;re pour une paire de poign&eacute;e ?? ?